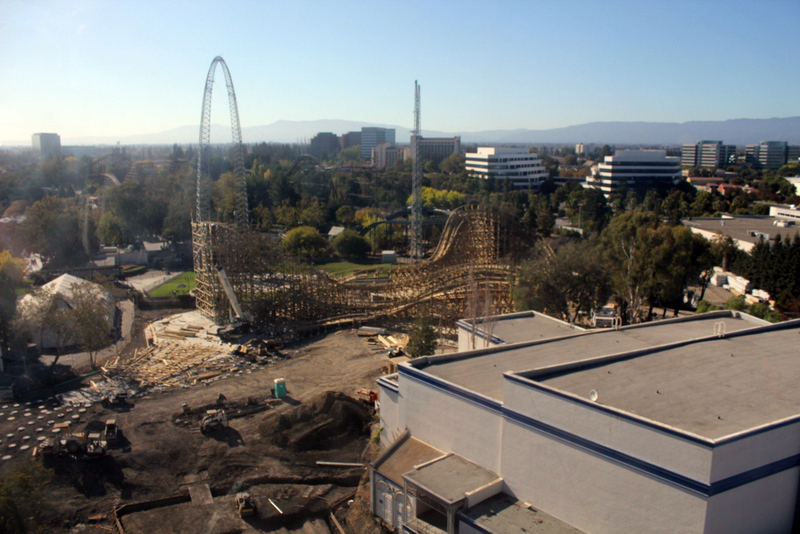 California's Great America's Halloween Haunt is in full swing now as the 2nd week of Haunt has already gone by. 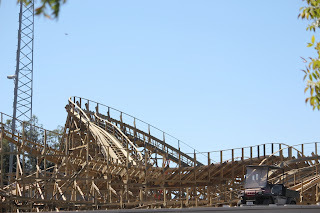 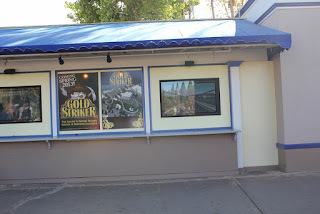 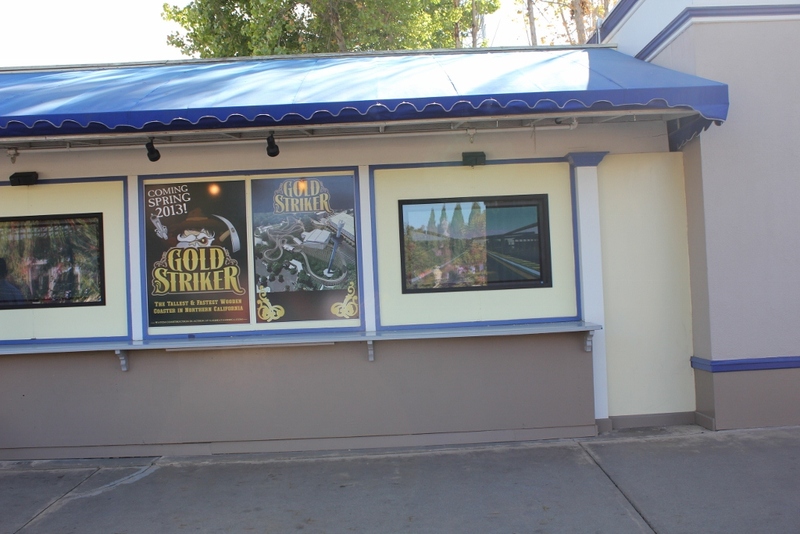 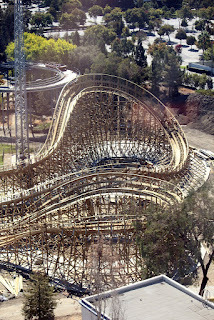 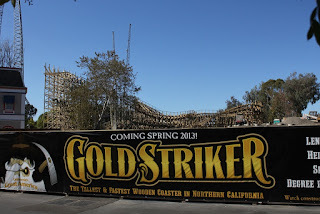 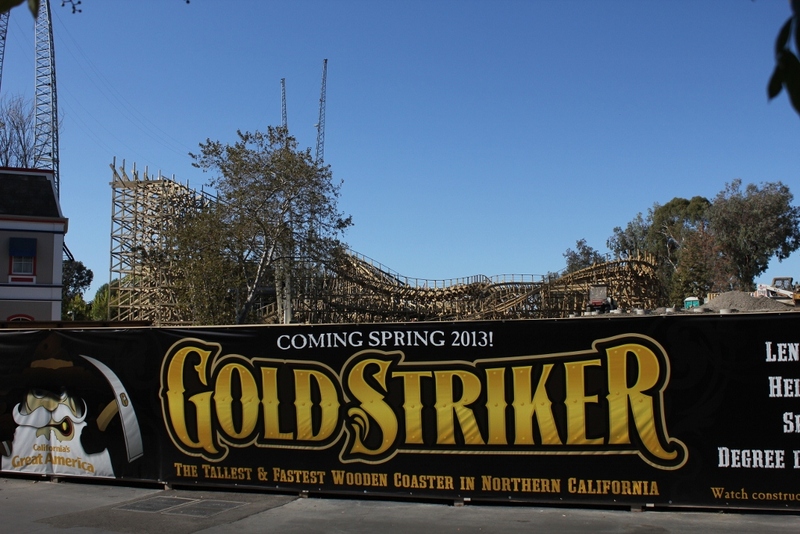 Being out at the park during the day, I decided to get some more photos on the progress Gold Striker is making. An early morning ride on the Star Tower on a non foggy day provided some nice photo opportunities. 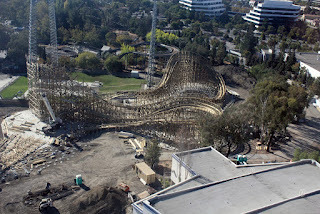 The 'Dead Man's Turn' (left) is making great progress! 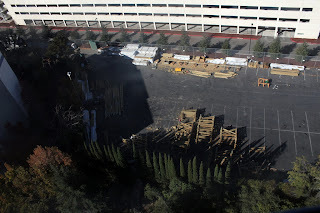 Some more bents wait in the lot to go up! 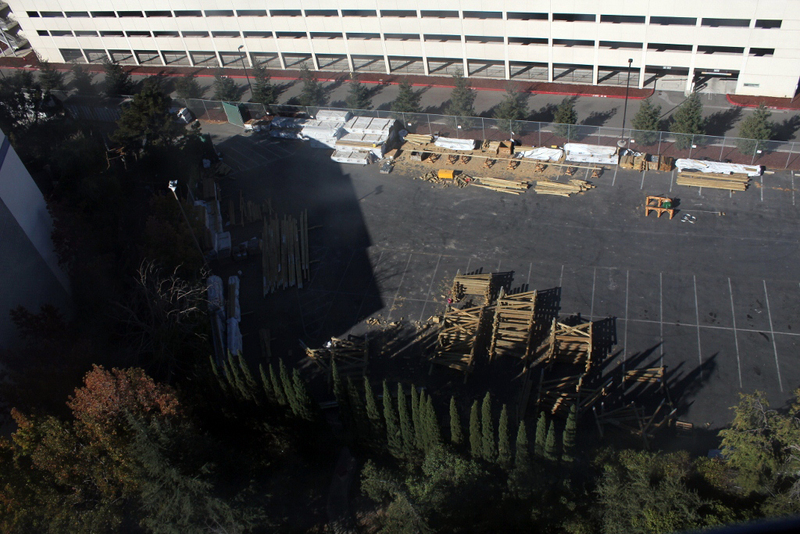 More pieces are waiting to be assembled. 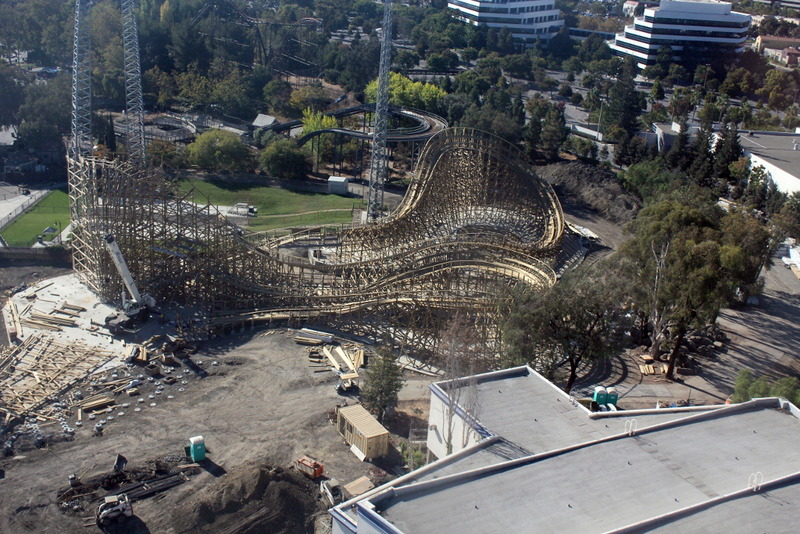 Another overview of the site! I would not be surprised if that tree gets removed. 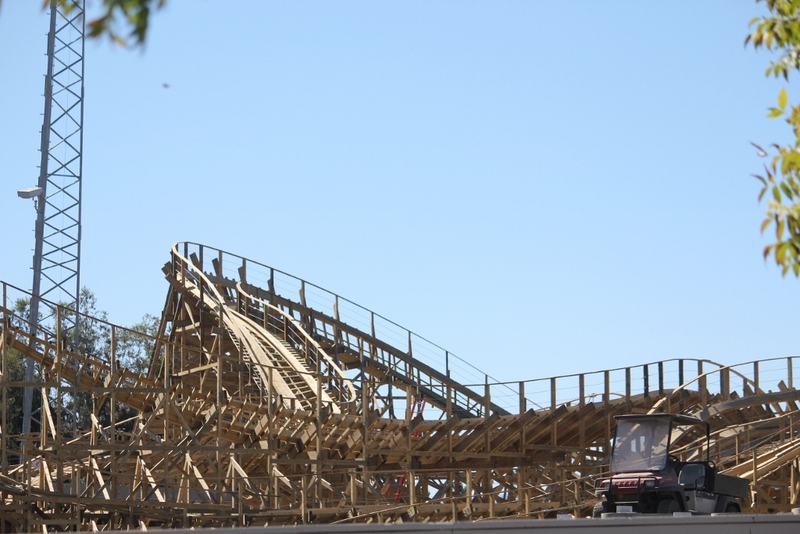 This beast of a coaster is really starting to rise above the construction wall! 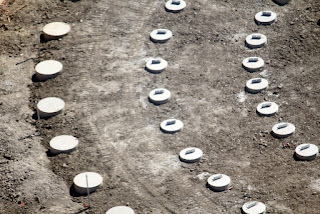 Some footers nearly ready for vertical construction, this is the 'Midway Turn' right behind that construction wall. 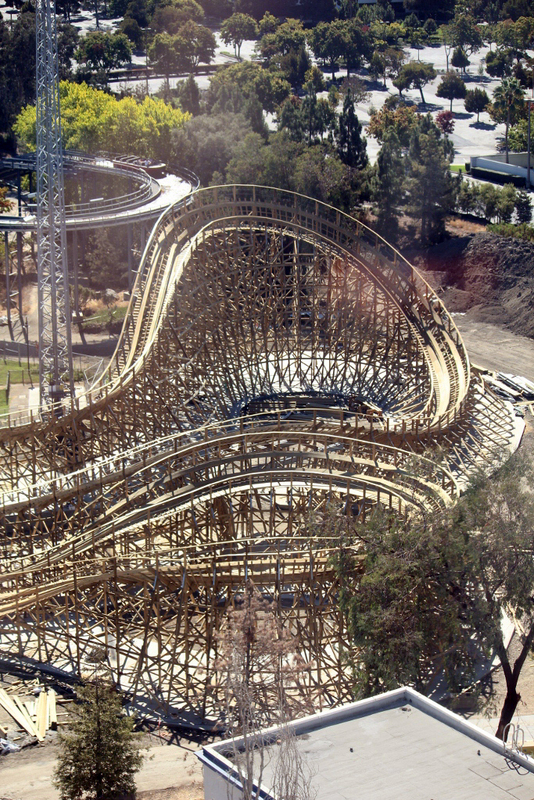 We can never have enough photos of this twisty turn! 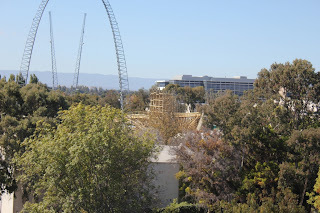 What was once hidden below tree line, this monster is rising above it! 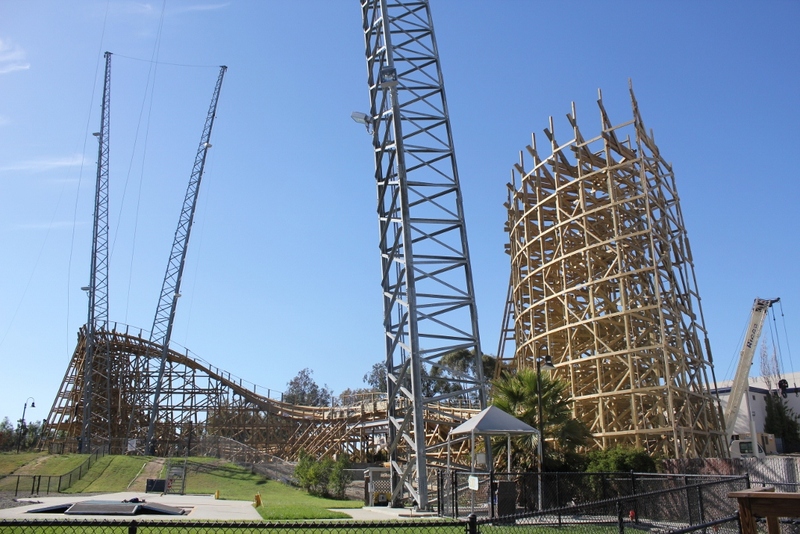 A back view of the 'Dead Man's Turn' from over at Xtreme Skyflyer. 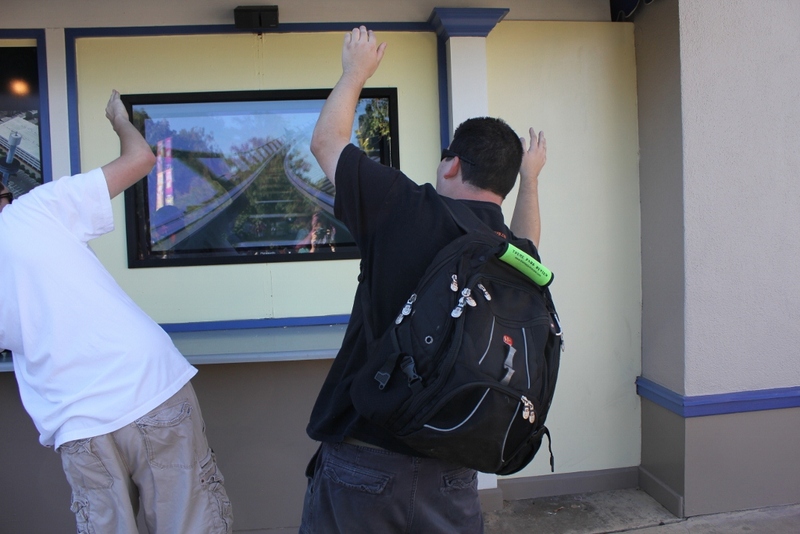 There can't be an update without a little coaster fanatic humor! 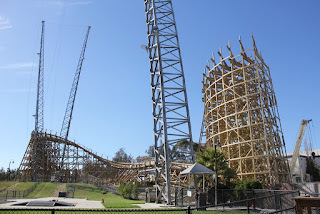 Stay tuned, I'll be back out at the park this weekend for the 3rd weekend of Halloween Haunt!